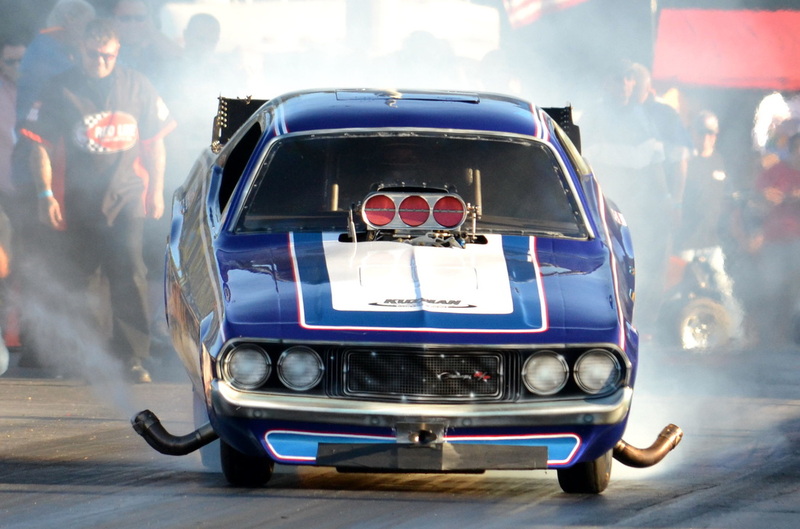 Race gas fumes are much more satisfying than the scent of freshly mowed grass, so you better get a move on: Nostalgic drag cars from the ‘50s, ‘60s and ‘70s will be at the US 131 Motorsports park located just north of Kalamazoo, Mich., this Friday and Saturday, Sept. 9-10. It’s nearing the end of the season, and that’s the perfect excuse to allow yourself a little extra play time. Right? 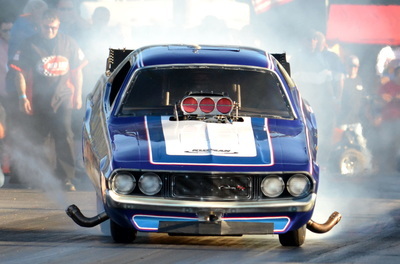 For the 12th consecutive year, eight of the Nation’s fastest nostalgia Funny Cars will burn up the track. Among them, three-time IHRA World Champion Jason Rupert will be dominating the class with “Rolling Thunder,” a record-winning 1969 Chevy Camaro, but Michigan native Shawn Bowen could break Rupert’s winning streak with his supercharged 3,500-plus horsepower 1970 Dodge Challenger, intimidatingly named “The Violator”. 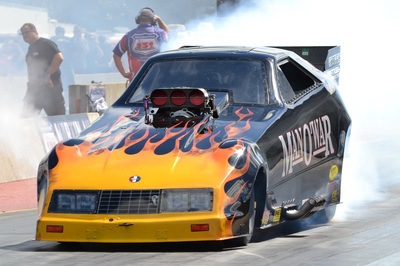 It’s the closest Nitro Funny Car battle in IHRA history. Whoever can put the power down will win. Spectating at an event of this altitude serves as an adrenaline-filled blast from the past. Aside from the much-loved Funny Cars, altereds, dragsters, wheel standers, Nitro cars and gassers will also be bringing the heat. Spicing up the mix will be “Nitro Ninja,” a 330-mph Top Fuel dragster driven by Dom Lagana, Nitro Mike’s wheel-standing, Nitro-burning PT Cruiser, and a 1957 Chevy Bel Air driven by Sue Christophersen, the number one qualifier in the 7.0 class at Bowling Green, Ken., last June. Serious racing will ensue between the fastest drivers out of the Lane Automotive Bracket Series’ Top ET and Modified classes. A $17,000 racing engine is the prize, courtesy of Engine Pro, Pro-filer Performance Products, and Performance Engineering. Among the eligible racers are Scott Taylor, who won the Top ET title, and Chad Six, who won the Modified championship. IHRA and NHRA record holder Bob Motz, a.k.a. the “King of Quake,” who has driven one of the world’s first and fastest jet truck for 37 years, will unleash “The Original Jet Truck,” a 200 mile-an-hour 1998 Kenworth, for the last time before his retirement. His love for racing makes his retirement hard to believe, but this may be your last chance to witness the jet truck’s fury. Why are you still reading this? Get a move on and make those travel plans! When purchased at the gate, adult tickets are $15 Friday and $25 Saturday, children ages 6-12 are $7. Children under six are free when accompanied by a ticketed adult and, as always, pit access is included with every ticket and parking is free. Visit http://www.us131msp.com for more information.